You want to make a greater impact and you want to be seen as an exceptional presenter, but nobody seems to care what you say or how you say it, let alone act on the information you shared. What you need to do is motivate your audience to pay attention and motivate them to act on the information you share and to do that, you need to start with WHY it matters to them. How do you quickly and easily go about this and put together an amazing and impactful presentation? 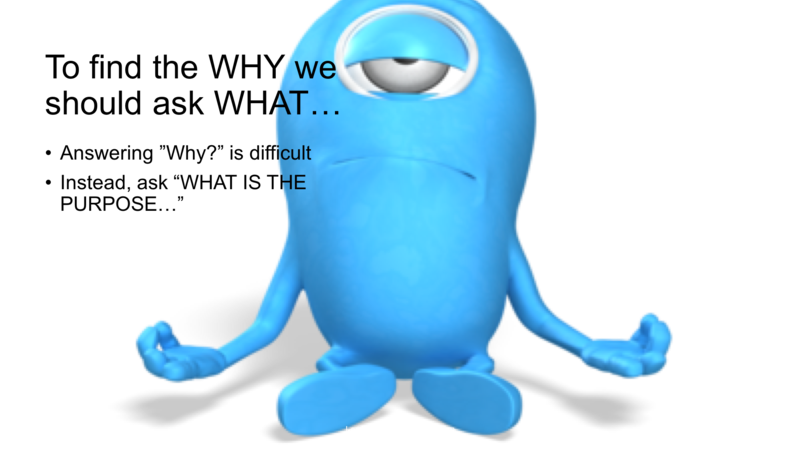 Whatever we wish to achieve in life, our long term goals or dreams, to persuade a prospect to buy something, get the team to understand a new product, persuade the boss to back a project, or get your kids to eat broccoli, it is assumed that we need to feel motivated to do it. The feeling which we describe as ”motivation” is the fruit of an emotional desire for something in the brain. It’s chemical and the most critical chemical of interest to us is dopamine, our “feel happy” drug of choice. The ”feeling” takes time to develop inside our bodies. Meantime, your brain has already had the emotional desire response. That is, you are already motivated, you just don’t feel it yet. 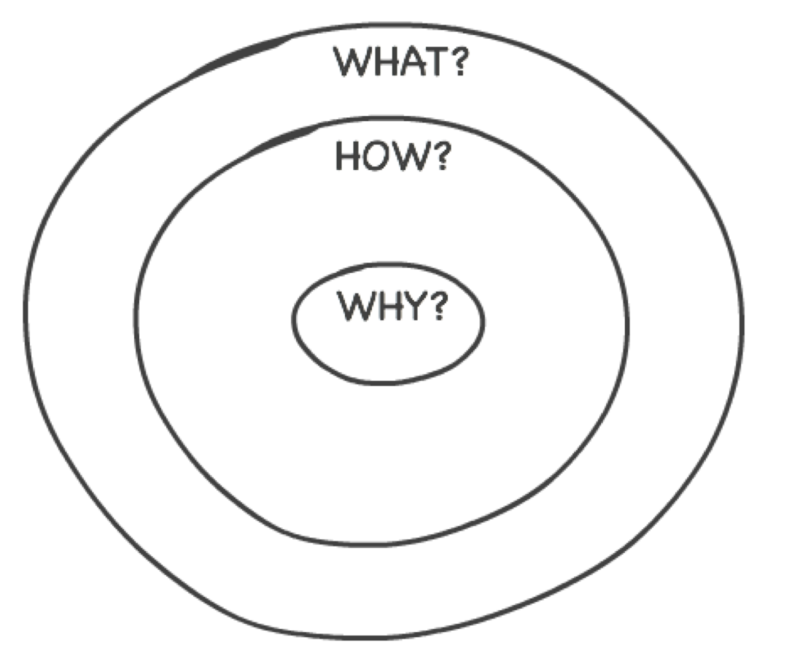 Simon Sinek’s excellent (and very popular) TED Talk entitled ”Start with Why” introduces the concept of the Golden Circle. The Golden Circle is very simple. Imagine a series of three concentric circles, like a target. “Why” is in the centre ring, “How” just outside this and “what” is the third circle. The What is the visible, tangible action or behaviour. The How is the effort and method of doing the what. And underneath all that, driving the effort of how to do the what is why. The intended purpose of expending that effort to do the what. But why is a very difficult question to answer. Before we make it simple, there's something else I need to share of critical importance. Because knowing why is not enough, we need to know why not as well, because some of your audience are motivated in a direction towards achieving something, whilst others are motivated in a direction away from getting something. Strictly speaking, we are all motivated both towards and away from, but by different things and to different extents. And we need to plan for this by understanding motivation direction. You have heard of the carrot or stick approach and this is essentially the same idea. 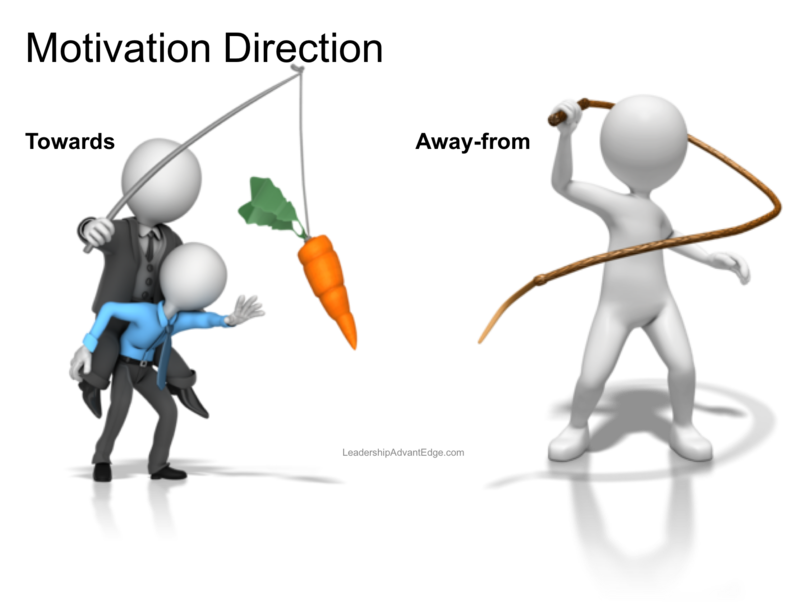 You will have a greater propensity to be motivated towards achieving (the carrot) or you will be more motivated away from getting things that you do not want (the stick). One direction will dominate the other. Statistically, people are more easily motivated (and hence influenced) by fear of getting something that they do not want (beatings from a stick) over getting something that they do want (lovely carrots). The stick approach is easier and swifter. It is associated with the fear response (to flee from the threat) in the amygdala of your brain that triggers the production of Cortisol (your stress hormone) and Norepinephrine (the freeze, fight or flight hormone). We do something because the cost of not doing so is too great for us. To Fight: When you deliberately instil fear in someone, instead of running away, they might just clench their fists and smack you in the mouth. Using the stick is certainly swifter and will often result in compliance and conformity. Motivating someone towards doing something relies on the production of Dopamine. Dopamine takes longer to trigger and produce than norepinephrine and cortisol. It makes perfect sense since avoiding a life-threatening threat requires a swift response, but we can delay or even defer feeling happy. Using a carrot approach means motivating someone towards doing something, it becomes something they desire to do. Interestingly, when the reward is removed, your brain replaces the notion of the reward with the "hope" of getting a reward in the future. It's called deferred gratification, and this creates a similar, sometimes more powerful motivational feeling. Why does motivation direction matter? And do note that you are already craving the reason or purpose - the why! Motivation direction matters to all communicators and leaders because the motivation direction used in your words is more effective when it matches your audience's preference. Someone, for example, who is motivated towards winning, is less motivated if you try to convince them about what they will lose if they don't do something. 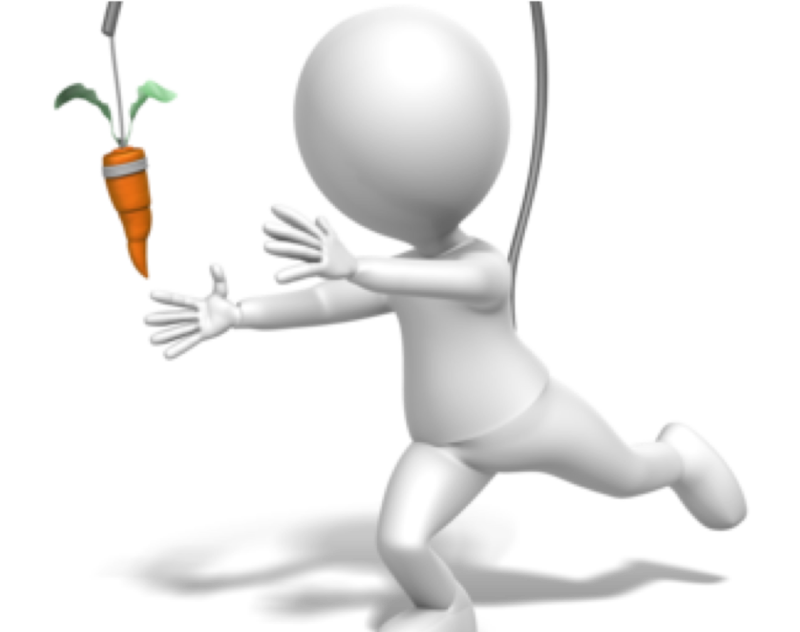 In most situations with a mixed audience this means that you have to use both directions: Start with a big lose if you don't commit to the project today (motivates the "stick" fans) and follow with a big win if you do commit today (motivates those who prefer "carrots"). And yes, it is better in that order. Your brain needs to save energy whenever it possibly can. (It consumes 20% of your body's energy and makes up less than 4% of your body mass. If it matters, your brain may allow you to expend that precious energy to understand the WHAT. No-one cares HOW you do something before they know WHY it matters to them? If it matters, then your brain may allow you to use that energy on interpreting the HOW. Instead we ask WHAT IS THE PURPOSE. Remember what we've learned about generating motivation and the direction of that motivation, are your audience carrot or stick lovers? There are three components to your presentation purpose. Heck, there are three components for your life purpose too. So if you uncover your life purpose today, give me a shout and we'll celebrate together. This process to find the why of your presentation looks simple initially, but simple does not always mean easy. The purpose of your presentation is the (specific) problem for your (specific) audience and your solution to fix that problem. The problem is that nobody cares what you say or present until they know why it matters to them. The solution is to share a method of identifying your presentation's purpose or WHY. The target is you - the leader who wants to make a greater impact and be seen as an exceptional presenter. Find your three components of problem, solution and target audience and combine them in a way that makes it easy to write, read, say and hear. Ways to go wrong with the purpose. Most presenters regard their presentation as an information dump and their purpose is to share this with anyone who is still listening. If information is your solution, ask yourself what is the problem that this information solves (or prevents from occurring)? Now most presenters will happily share their solution (the WHAT they want to say), but interestingly, people aren’t listening until they believe that the problem matters to them. Getting too broad with your target audience. This is a tough one often in my experience because you might be preparing a presentation that will be used with multiple audiences. When you can be very specific about your audience, then those people really sit up and take notice. If for example, I say that this is for young managers with a technology background who are single and Chinese, then those specific individuals listen up more carefully. It doesn't prevent older independent contributors, married with five kids and European form taking notice, though they may use it as an excuse to play with their smartphone. One of the easiest ways to check out this formula is the taxing task of watching or reading advertisements. [problem] children get their clothes dirty and [target] (young, good-looking of specific ethnicity in a common type of home) mum wants them spotless and smelling great + [solution] new improved Dinocil. [problem] frustration with an old, boring saloon car (that's too small for older kids) + [target] (young, handsome working of specific ethnicity) male + [solution] the new sleeker design massive SUV for urban living. The more compelling and relevant the image of the problem and the solution, the better and the more the audience identifies directly with the target, the more they will attend. Sorry about that. Yes it is this simple. No it isn't always easy. What is the problem for executives who do not know the last quarters numbers? The first is the purpose for the audience - this is by far the most important and cannot be neglected. The second is the purpose for you, the presenter. There may also be a purpose for the organisation that you represent. [Personal Purpose] to look good when you present so that your boss gives you a deserved promotion. You’ll notice that the first two are closely aligned, just from opposite sides of the situation. You’ll also notice that they all contain ”so that”. The personal purpose is the one that many many presenters pretend they don’t have. It’s the selfish purpose. Indeed, you should keep this personal purpose in mind always. Because I know and you know, that you always want to look good to your audience. Better still, they acknowledge that you did a great job. Your mission, should you choose to accept it is to find the ”why” of your next presentation. Let’s put this into practice with your own presentation. One that you intend to make in the near future. 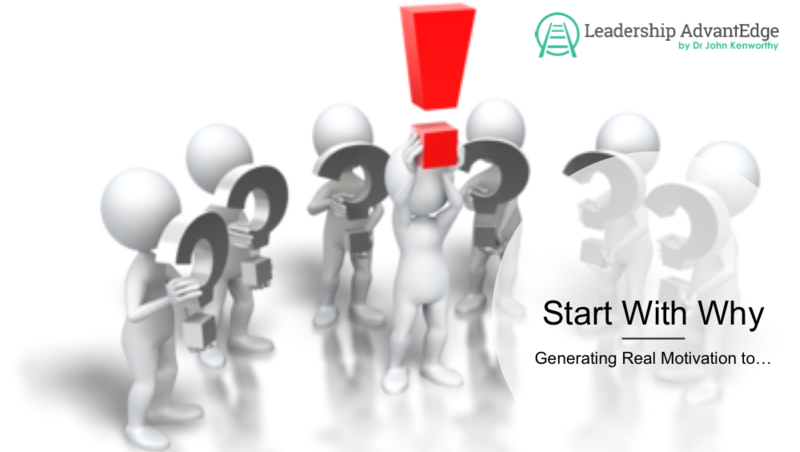 Start with your audience, then identify your solution, and finally what is the real problem that you are solving for your audience. Because it is probably easier for you. You almost certainly can identify your audience. You sure know your solution (otherwise you wouldn’t be presenting it). The piece most presenters forget is the problem. And if you’re wondering why focus so much on the problem, rather than the solution. Tell me, when you search on Google to find something, are you searching for words associated with your problem or your solution? So does everybody else! It’s that question we want answering. And that’s why it matters. Now, I have shared three essential aspects about generating motivation, the direction of that motivation (the carrot or the stick) and starting with WHY, and equipped you to quickly, and easily put together an amazing and impactful presentation so that you will motivate your audience to pay attention and motivate them to act on the information you share.